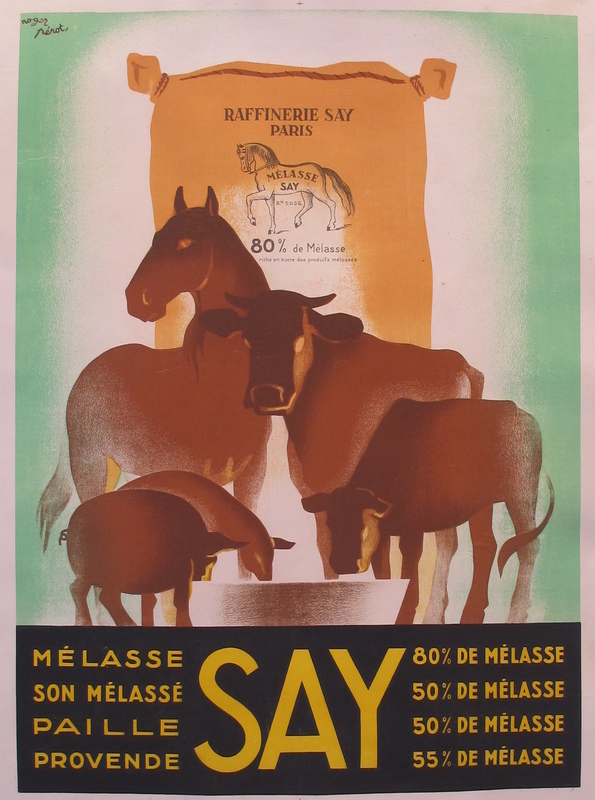 By this time anyone who reads the blog regularly will know that I love animals – primarily horses and dogs. My favorite equine, Mr. Hawaii, currently leads the life of Riley, eating grass and sleeping in the sun on warm spring days. My dogs PerceE (yes, that’s how he spells it, being the unusual animal that he is), and Bella are also fairly pampered and love nothing better than a good game of what we call ball-down-the-hill (where I throw the ball down the hill and they retrieve it, having to sniff each and every tree trunk and shrub in order to find said ball. During the winter the game is more challenging – given the height of the snowdrifts – but come spring, the harvest of tennis balls is legendary). 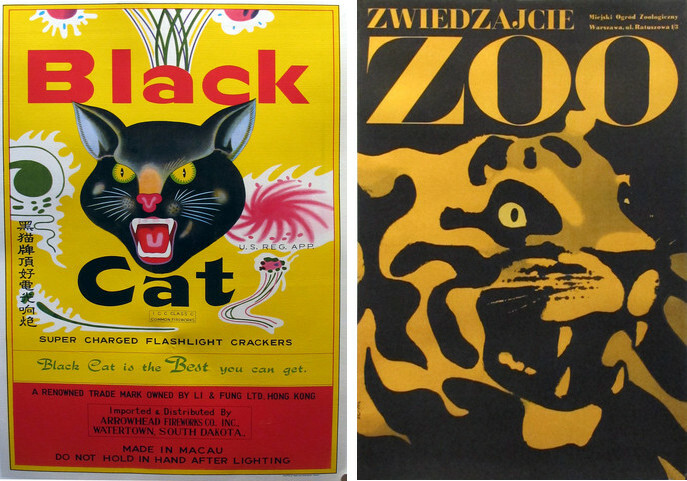 vintage posters for Black Cat firecrackers that literally explode with color; a ferocious tiger from a Polish zoo; and a large variety of other prints and posters that will appeal to anyone with enough horse sense to appreciate them. With the Belmont Stakes set to take place on Saturday, I’m hoping the California Chrome takes home the Triple Crown. I think that would be an awesome achievement for a horse that was purchased for just $10,000, don’t you? 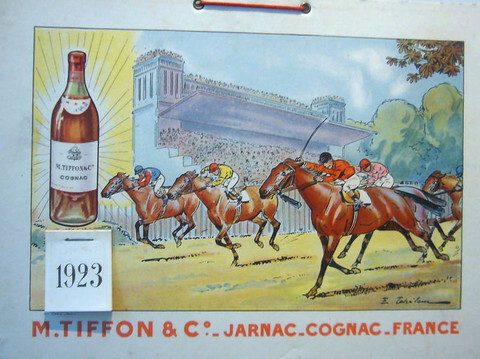 Something about horse races gets the adrenaline rushing, the hopes soaring, and sets the spirit aloft. 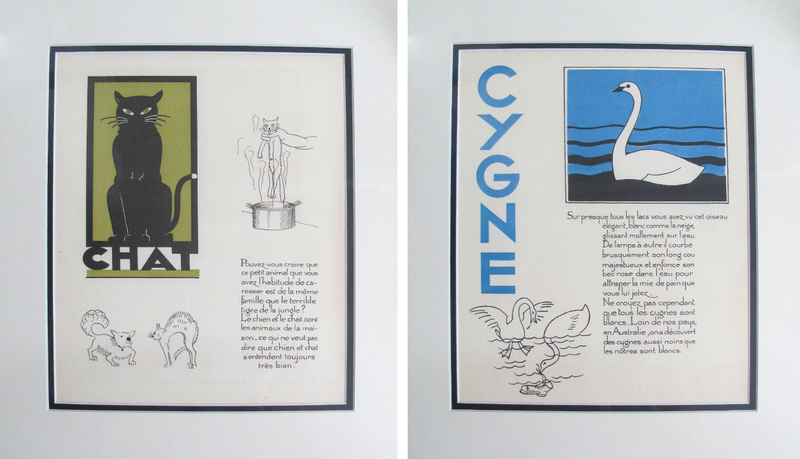 It’s always been that way (as this early Art Deco calendar attests), and it always will be. As for me, a good game of ball-down-the-hill, or an afternoon spent in the company of Hawaii while he contently munches on the best dandelions and the greenest grass will always be time well spent. My animal friends keep me sane, and my animal posters make me happy.